The automotive technology industry brings to the table a wide range of well-paying jobs for those who are passionate about vehicles and the technology used inside them. By 2026, it is believed there will be almost 800,000 jobs available in the industry, with over 45,000 being added between 2016-2026, according to the U.S. Bureau of Labor Statistics (BLS). Automotive Training Center (ATC) programs have enabled many graduates to pursue successful careers in the automotive technology industry. If you’re looking to become a part of this exciting field, it’s important to understand career options and how to pursue them. What Kind of Opportunities Exist in Automotive Tech? There are many paths that can be taken to a career in automotive tech. The growth in automobiles across the world shows just how much the industry has evolved, and the technology is changing at a rapid pace along with it. Pursuing a career in automotive technology also means you can work as a service writer, manager, business owner, educator, or trainer after you’ve gained the appropriate level of experience. Computers are becoming more complex and capable, meaning engine systems are more complex. There are many career paths available, but giving careful thought to what your passion is can guide you down the right path. Do you enjoy getting your hands dirty and using tools? Or, do you like interacting with people and problem-solving? Once you’ve answered these important questions, you’ll know more about the kind of career you want to have. A strong automotive technology education is one of the most important factors in determining whether you will be successful in your automotive career. Learning about the latest tools and equipment used to diagnose and repair vehicles can set you up for a long and successful career. When searching for an automotive technology school, you should think about the education programs and if they’re designed for the career you’re looking for. 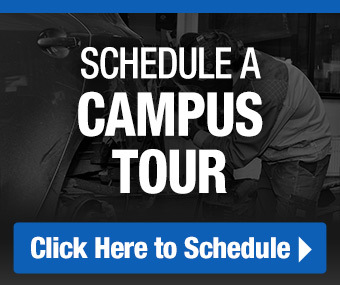 Always look for a school that’s accredited by the Accrediting Commission of Career Schools and Colleges (ACCSC) and employs instructors that are approved by the National Institute for Automotive Service Excellence (ASE). Automotive Training Center’s programs are based on the National Automotive Technicians Education Foundation (NATEF’s) standards and led by ASE-certified instructors. Another thing you’ll want to look for in an automotive training school is one that provides job placement services to help you find work soon after graduation. Schools that are well-connected can benefit you by helping to land a job that begins your career. We are an official training school of the Auto Dealers Association of Greater Philadelphia (ADAGP), and have helped provide member dealers with automotive, collision, and diesel technicians. Whether you have always had a love for everything automotive, or your passion has been stoked just in recent times, securing a strong education is the best way to prepare yourself for a career in the automotive tech industry. At the Exton and Warminster Automotive Training Center locations, we help those interested in automotive training careers pursue their interests. If you’re interested in a career in automotive, learn more about the opportunities available to you by viewing our helpful resources.